Hi everyone! 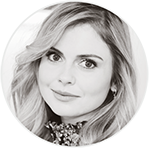 Today, Rose McIver Source have a new layout, more professional, colored, gadget than the previous one. The two layout (wordpress + coppermine) have been made by the talented Simply Sparkling Designs. Hope you’ll like it as much as I do!